Home / Experiences / Discover Médoc Oysters! 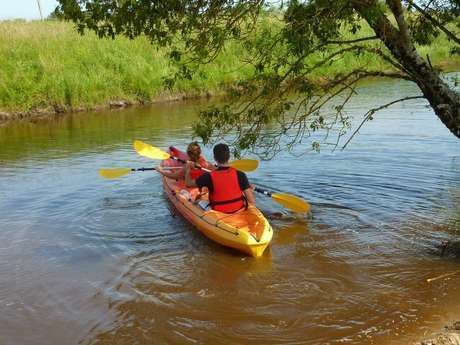 Today is discovery day on the estuary side of the Médoc! I’ve wanted to explore the shore near the mouth of the Gironde estuary for ages. We stop at Saint Vivien de Médoc for some oyster tasting. Yes, there are oyster farms in the Médoc! To be more precise, the oysters are matured in the Médoc salt marshes. We are greeted by Bertrand, who tells us about the history of oyster farming in the Médoc. After numerous twists and turns, they finally obtained authorisation to farm the Médoc salt marshes again in 2014. He also produces tiger prawns, clams and other shellfish. After an hour’s visit, we move on to the tasting! 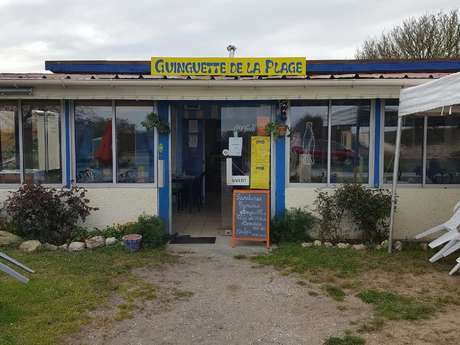 This tasting has whetted our appetites and we stop at a "guinguette" along the waterfront. I’m leaning towards the oysters and tiger prawns with a lovely glass of white wine. The boys are tempted by the fillet of duck and home fries! Here at the water’s edge, in a beautiful haven of greenery, we soak up the peaceful atmosphere and surroundings. Each customer is treated like a friend or an acquaintance. It’s the same relaxed, friendly ‘Happy hour’ summer ambiance that you find in Bordeaux’s Old Town! Long summer nights on this terrace must be magical! We shake ourselves awake – for a bit of exercise! We could easily spend the afternoon lazing in the sunshine down by the water. But Paul needs to be on the move! So we hire a couple of canoes and go canoeing down the Chenal du Gua, a peaceful river lined with trees. We’re far away from the hustle and bustle of the summer beaches and feel like we’re the only people in the world! What’s more, we chose the "kayak cocktail" package! After our post-lunch trip down the river, it’s wine and cocktail snacks with mussels on the terrace of the pretty ‘Kayak et Découverte’ cabin. What a perfect choice!